Mick, Derek, Kenny, Jim and Charlie. Kenny Hyslop was well known to the band, having also been signed to Zoom Records as the drummer for The Zones. 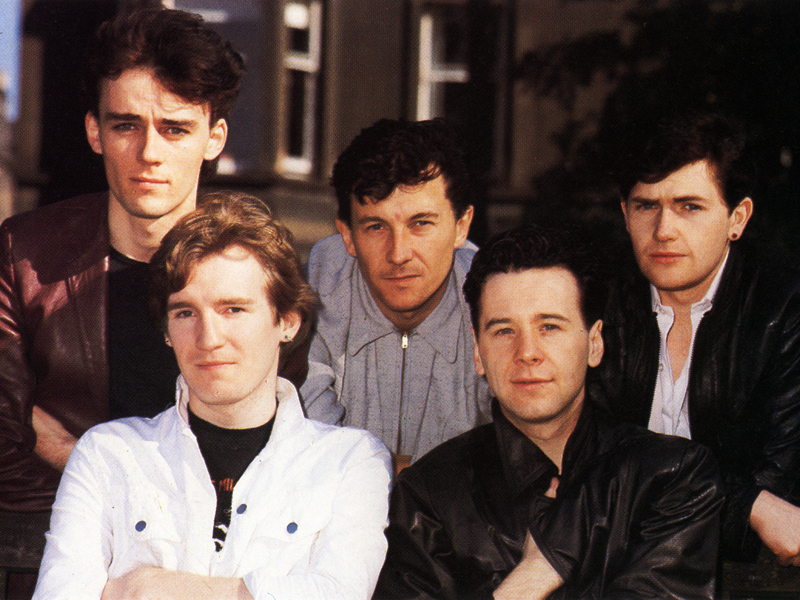 Just prior to joining Simple Minds, he'd been working with The Skids. The band were reluctant to replace Brian McGee's position entirely. Kenny " ...hasn't actually joined us. We like him a lot but he's got his fingers in lots of different pies. I don't think we'll try and get a permanent drummer, Brian was the only drummer I've ever played with... " - Jim. Kenny played on the first leg of the Sons And Fascination tour, although he was constantly at odds with the record label and management. His suspicious nature of his bosses put him at odds against the rest of the band. Whilst on tour, he'd tape late night radio stations, which would subsequently get played on the tour bus. One song, by a brass band, caught everyone's imagination, and during a gap in the tour, the riff got restyled and subsequently emerged as Promised You A Miracle. With time on their hands, and ten days booked in a studio, it was recorded, and became Kenny's only formal recording with the band. As Simple Minds prepared to continue the Sons And Fascination tour, Kenny went his separate way. Kenny Hyslop just didn't fit in and left after the first part of the tour. He went on to form his own band Set The Tone.